Q&A: How Does a Writer Get Media Insurance? I just read your article on “Get Covered, Media Insurance for Writers” on the WOW! Women on Writing site. I see that you finished [a few] books—congratulations. I’m wondering how you were able to get insured for a book since you have to show prior sales to be accepted as a member of The Author’s Guild and secure insurance through the WriteInsure program? I’m all ready to publish my memoir, my first book, so do not qualify for membership or media insurance either, that is, unless I want to pay big premiums for a single policy. Thank you for contacting me! I’m glad you came across my article on media insurance for writers. 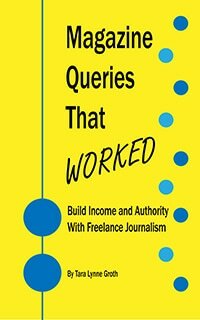 The Authors Guild has several requirements for membership, one of which is being a freelance writer earning income. Since that is how I make my living, I applied and was accepted. After my acceptance, I took advantage of their member discount and acquired the media insurance policy. If you are unable to satisfy the requirements to join the Guild and need insurance for your memoir, other future books, or your writing business in general–no worries! There are other options out there. Just two others are through the American Society of Journalists & Authors and the Freelancers Union. ASJA, like the AG, has specific requirements and a member review process. If this still doesn’t work for you, the Freelancers Union is free membership and can be satisfied in just a few clicks. There are also independent media insurance brokers you can do an Internet search for; maybe even some locally wherever you are based if you like to support local commerce. Congrats on your forthcoming memoir! This is a very exciting time. Also, insurance is a topic a lot of writers are curious about. If you like, after you choose a policy and publish your book, I’d love for you to write a guest post about your experience and tips for shopping policies on my blog Write Naked. I pay guest contributors $25.00 per post. If this interests you, we can discuss more details down the road.